I am a geomorphologist. Geomorphology is the science of earth surface processes and landform development. It explains the way rivers form, why coastal erosion occurs and where we’re likely to get flooding. There are many parts to my day job but the most exciting part is the work I am involved in to improve our damaged rivers. This work is referred to as river restoration. It transforms our rivers from their historically straightened, boring and ecologically degraded state into something diverse that can benefit the environment and reduce flood-risk. A big part of river restoration is removing structures that no longer have a function, such as old weirs and redundant sluices. With hundreds of fish barriers across East Anglia, the removal of redundant structures is important to improve the overall condition of our rivers and reduce maintenance costs. One such structure is the Homersfield sluice on the River Waveney in Suffolk, which we identified as being both redundant and in need of repair. Over a six week period between August and September 2013, we undertook a combined river restoration and structure removal project. It involved the removal of the two vertical lifting gates that made up the Homersfield sluice. In their place, three riffles were constructed downstream with relatively deep ponds maintained in-between to create a pool-riffle sequence. The new features greatly enhance the ecological value of this river. Fast, shallow flowing water cascading over the gravel riffles provide an ideal, well-oxygenated habitat in which fish can spawn. Combined with the nearby pools, this section of river now facilitates a wide variety of different habitats for in-stream organisms including, fish, invertebrates and aquatic plants. Geomorphologically, the removal of the structure has increased the energy available for the river to move sediment and create new landforms. 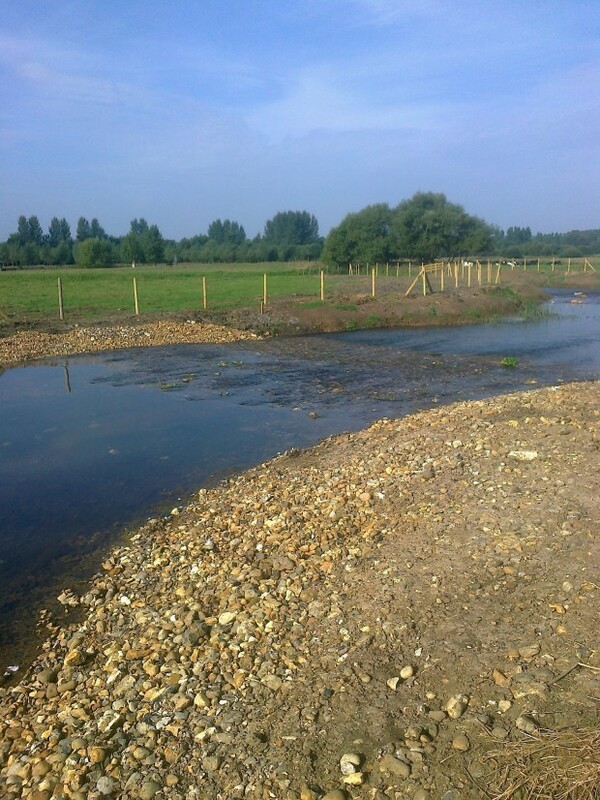 Crucially, it has improved fish and eel passage and has opened up 8km of the River Waveney further upstream. 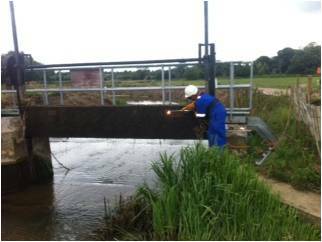 Removal of the sluice has also eliminated the operational costs associated with maintenance of the structure. The riffles have been designed to maintain upstream water levels, retaining one of the unique and defining landscape characteristics of the Waveney valley. The Homersfield sluice removal represents an unique and locally significant project. 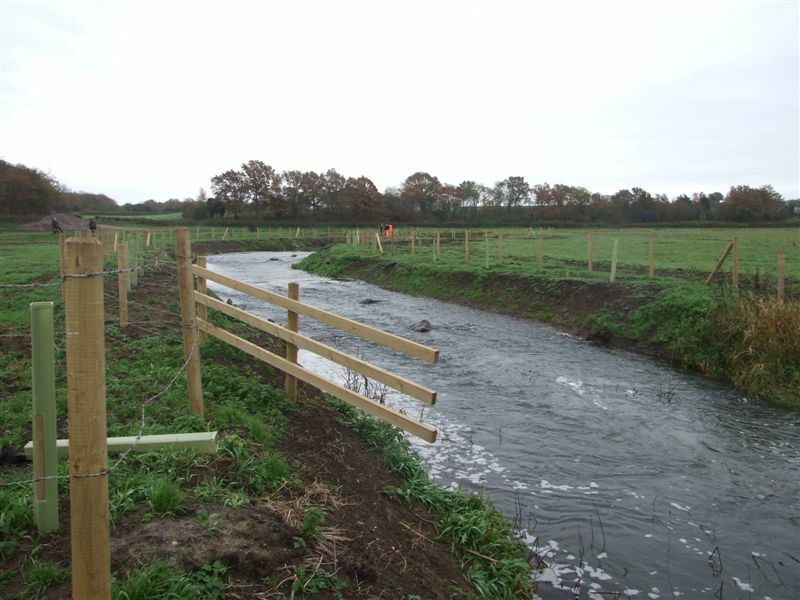 It is one of the few examples of a combined river restoration and structure removal within a lowland English river, and the first in Suffolk. We will carry out biological and water quality monitoring to assess the success of the project. We are hoping to carry out similar work elsewhere across the east of England and return our rivers to a more natural form. Trev Bond is a Geomorphologist based in the East of England. You can also follow him on Twitter @TrevBondEA. Brilliant news! The Waveney doesn't get much attention in the press but is a very attractive river in an understatedly attractive part Norfolk/Suffolk. It's great to hear about measures that are enhancing it.